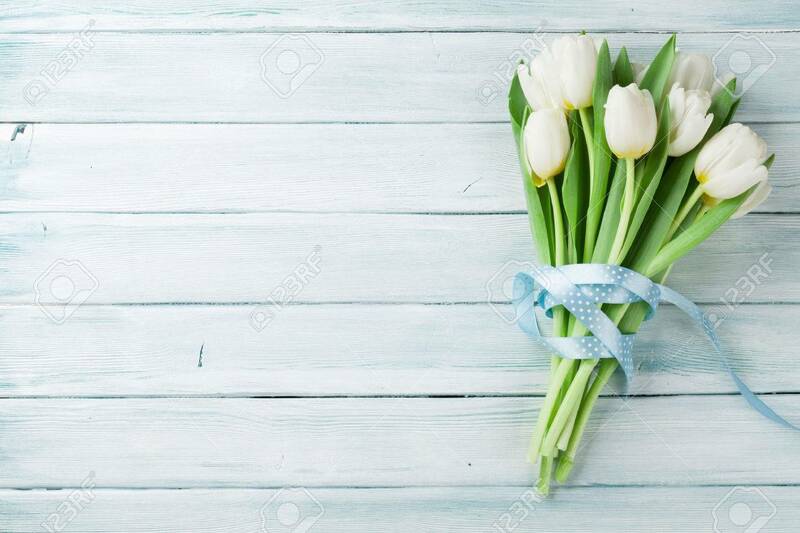 White Tulips Bouquet On Wooden Background. Top View With Space.. Stock Photo, Picture And Royalty Free Image. Image 72112404.